I was originally trained in textile design and embroidery at the London College of Fashion, before embarking on a 15 year career in banking, or as my parents said at the time "a proper job"! 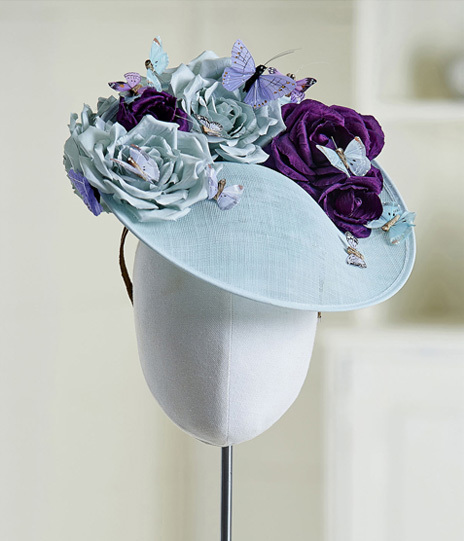 Having left the city to move to Sussex, still with a yearning to pursue my creative interests and an ever increasing passion for hats, I retrained in millinery at the Kensington and Chelsea college alongside specialist training with renowned leaders in the millinery world such as Edwina Ibbotson, Justine Bradley Hill and Ian Bennet. 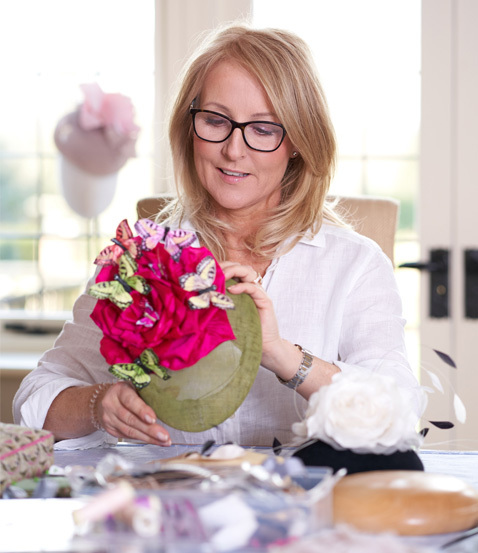 It was with my desire for creating beautiful timeless hats and headpieces for stylish modern women, that The Gorgeous Hat Company was born. "I firmly believe that quality and luxury is all in the detail. 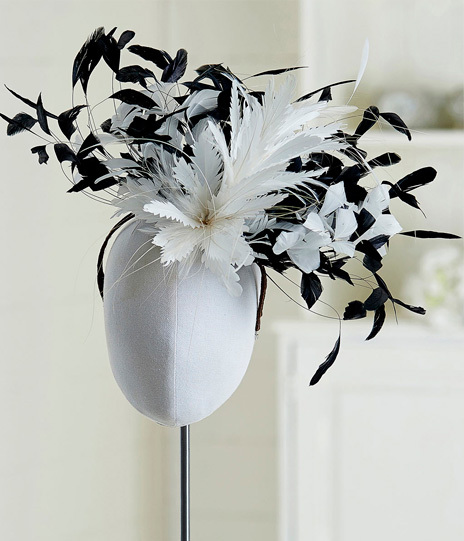 Each headpiece is meticulously handcrafted using the finest materials, with the end result being a hat that makes the perfect statement and is effortlessly chic." I work from home, and draw inspiration from my garden and the countryside drawing on nature’s inherent good design and beauty, and fashion trends. In short, drawing on these elements and inspiration to create unique, stylish and glamorous headpieces. "I am not led by 'of the moment trends' but focus on designing uniquely beautiful headpieces that flatter and inspire confidence." In my spare time, I enjoy walking my dogs in the countryside, cake decorating and sugar craft (particularly flowers). I am also a passionate gardener, and botanical artist (both watercolour and colour pencil). I hope you like my creations which have been hand made with love, passion and attention to detail. By using the finest materials I bring together modern style and fashion with classic quality and features that I believe makes my headpieces unique. Enjoy! I want you to get as much pleasure from seeing and wearing my hats as I do creating them.